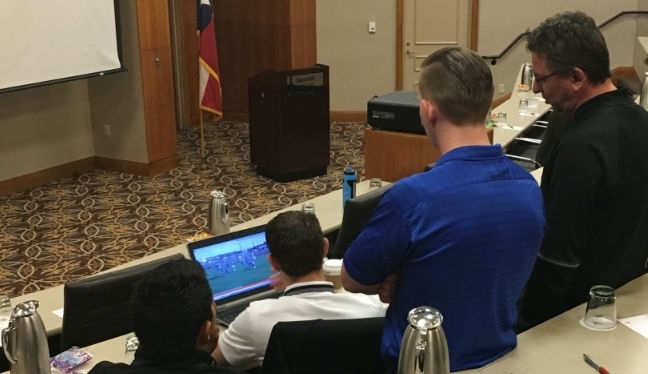 The Professional Referee Organization has joined forces with video exchange platform TeamXStream to enhance development and training, education, and evaluation capabilities for officials in MLS, NASL, USL and NWSL. TeamXStream is an expansive platform for athletic organizations with an intuitive set of tools for editing, watching and exchanging videos. Coaches and teams use TeamXStream to create and share videos within their organizations to engage members of staff, improve performance and save time. In PRO’s case, TeamXStream offers an efficient and user-friendly video platform, specifically tailored to the Organization, where game video can be shared via the cloud with officials, evaluators, coach-mentors, and management staff across devices. The editing tools allow support staff to easily make and share clips of key match incidents as well as concepts that demonstrate best practices or areas of improvement that everyone can benefit from. The ability to edit both online and offline provides accessibility during air travel and maximizes the use of time. PRO’s Sandra Serafini, who has overseen the introduction of TeamXStream within the Organization since 2014, said: “Given the challenges of our geography in the U.S. and how dispersed our officials and staff are, it’s crucial that we have a user-friendly technological solution that minimizes those challenges. “TeamXStream does that and lets us focus on training, development, and education to continually improve the performance of our officials. “Key match incidents are hyperlinked directly into our assessment forms so the officials can correlate written information with the visual facts of that incident, which assists in the retention and recall of that information for their next match. TeamXStream CEO, Josh Ort, said: “Working with the Professional Referee Organization has been a great opportunity for us to get more involved on the officiating side of soccer, which has carried over in other sports. “Peter [Walton – PRO General Manager] and the PRO team have done an exceptional job of adding technology solutions to their existing workflow across the leagues they manage. “With our partnership, we’ll work closely with PRO to streamline their video operations and how they use the platform for assessment and education. After meeting in 2014, PRO’s Serafini worked with TeamXStream to customize the system specifically for officiating, before it was launched in time for the NWSL season of that year. The platform was then introduced to selected NASL and USL matches the following summer, taking it to a wider group of officials and assessors. Then, following Greg Barkey’s appointment as PRO’s Manager of Assistant Referees at the start of 2016, all four leagues operated by the Organization’s officials – MLS, NASL, USL and NWSL – were set up on TeamXStream, meaning a consistent message is available at the fingertips of the officials, regardless of what league they operate in during any given week. 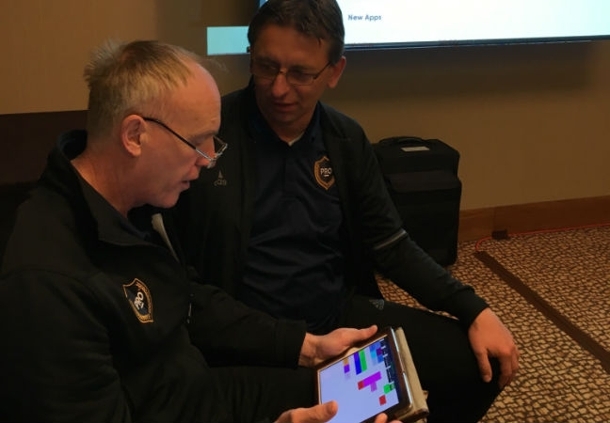 Barkey, who was an assistant referee in MLS from 1996 up until he accepted a role in the PRO support staff, said: “The ease of using TeamXStream’s editing tools lets me cut a clip and then share it with the rest of the staff and officials in minutes. Having these models can serve as blueprint for education and evaluations for other officiating groups moving forward.